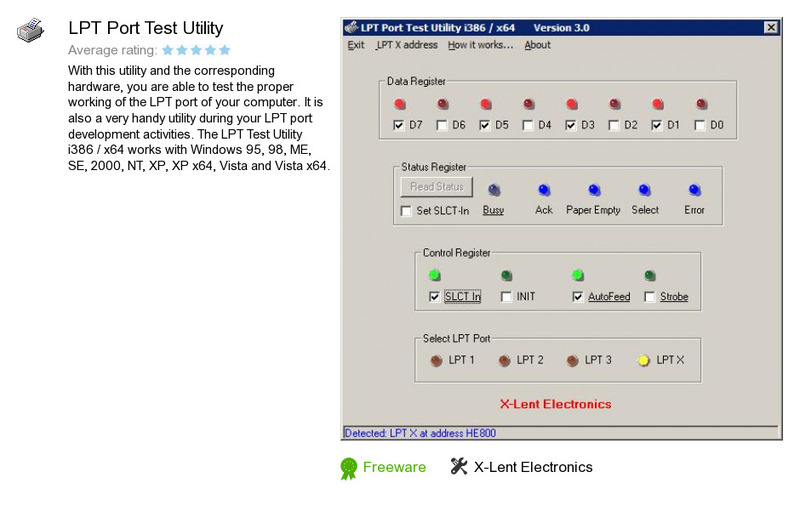 LPT Port Test Utility is a software product developed by X-Lent Electronics. We know of version 3.0. Version 3.0 is available for free download at our site. LPT Port Test Utility distributive has a size of 810,912 bytes.